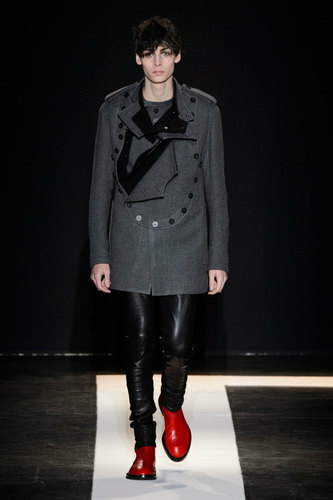 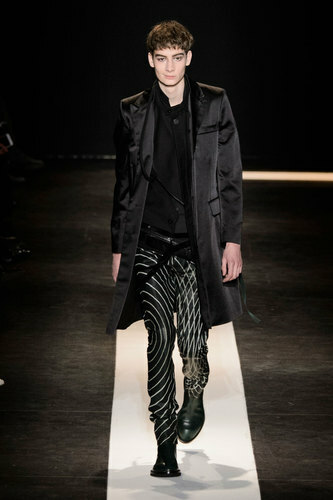 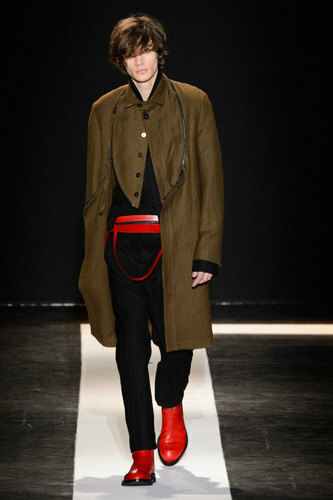 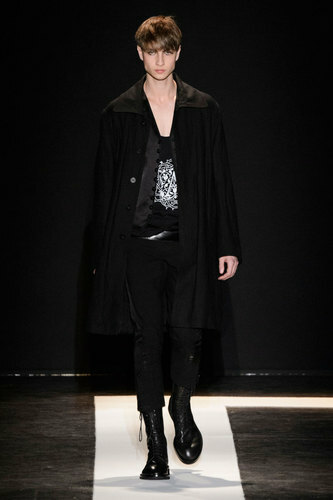 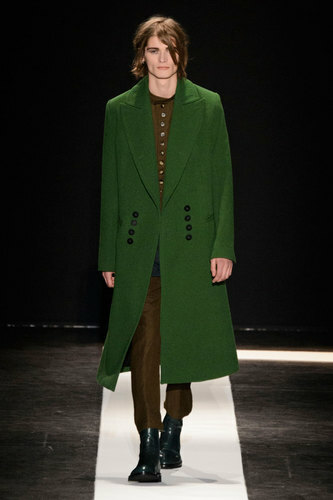 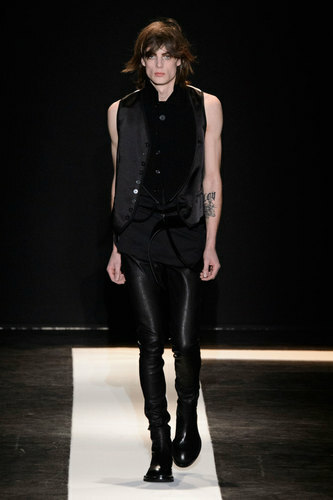 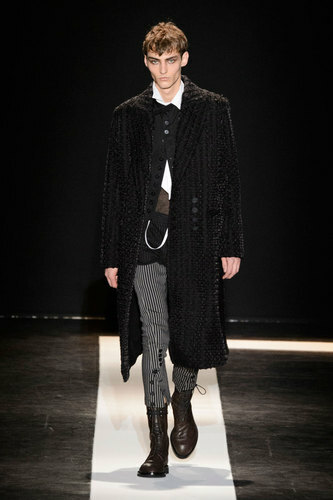 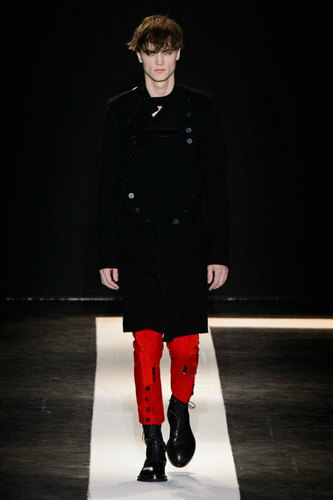 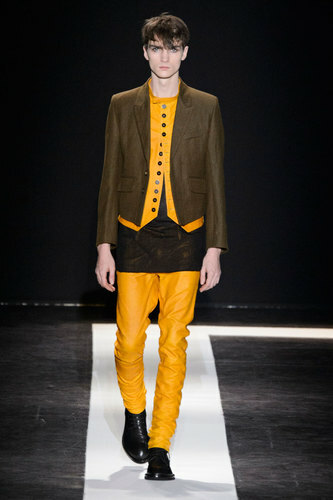 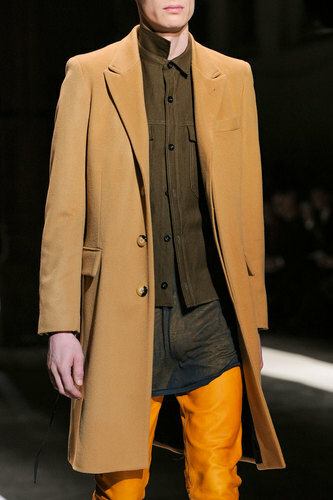 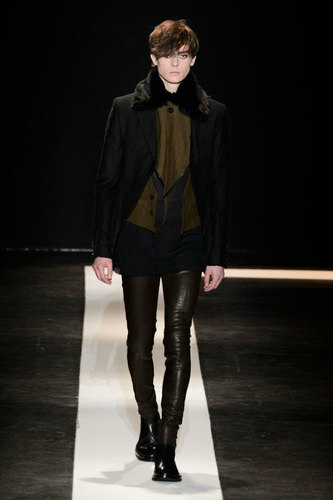 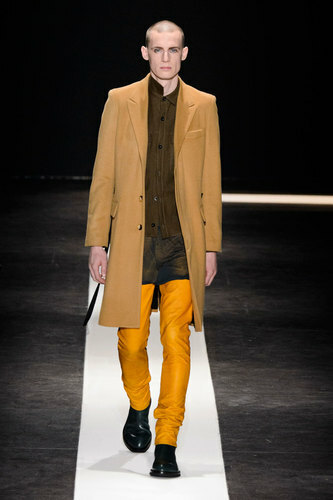 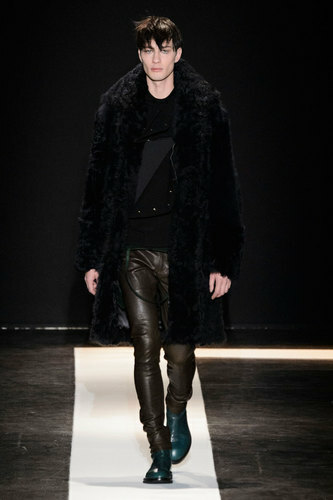 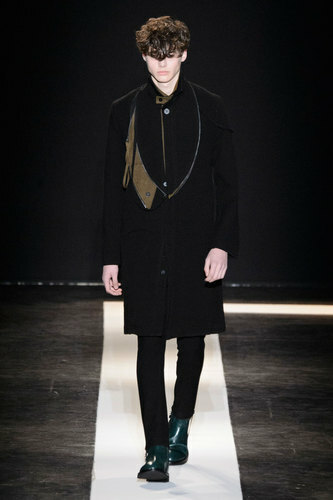 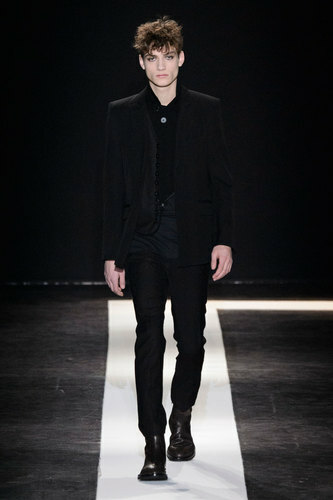 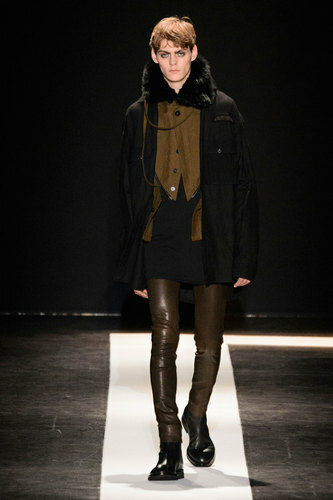 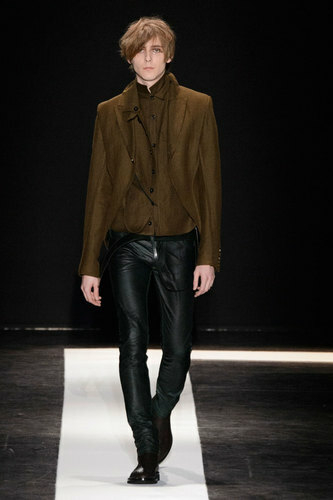 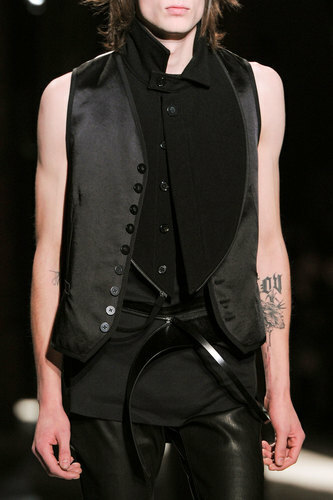 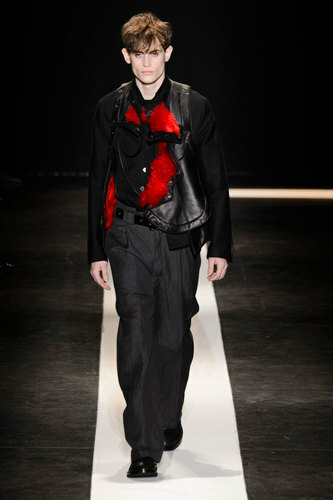 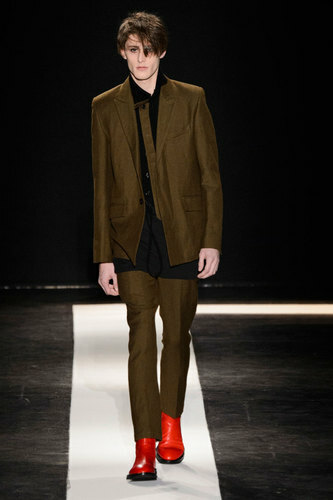 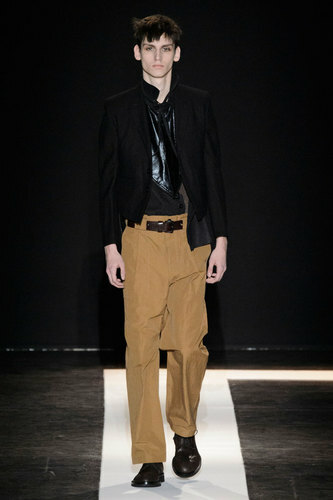 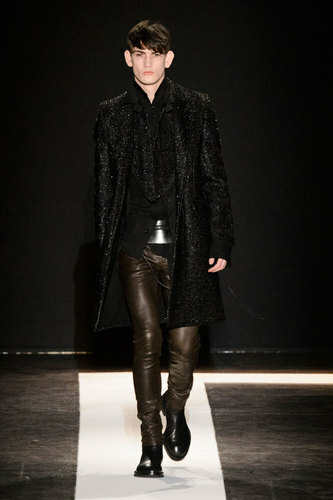 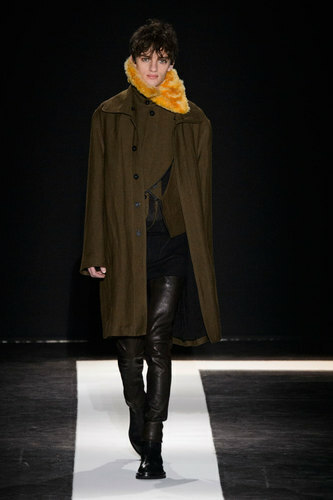 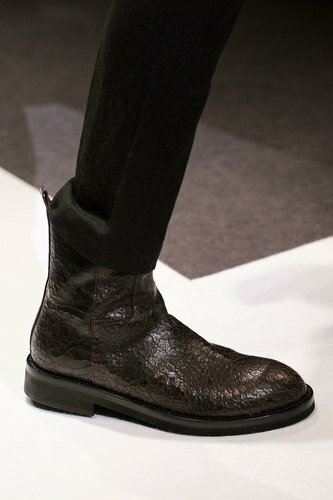 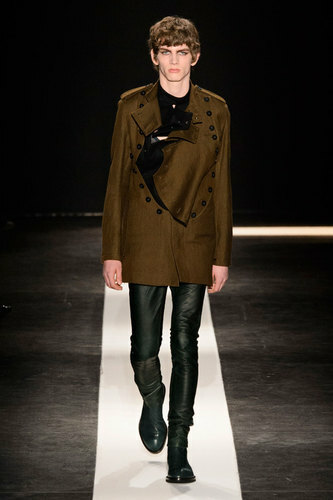 Ann Demeulemeester Man Autumn-Winter 2015-16 – Demeulemeester’s line introduced a more romantic-rock look. 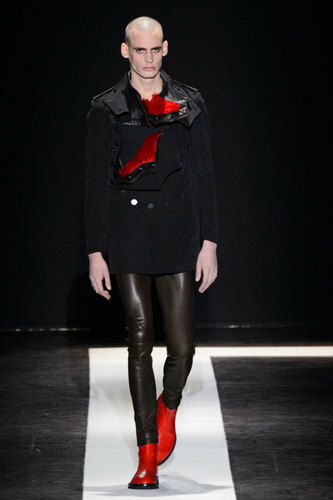 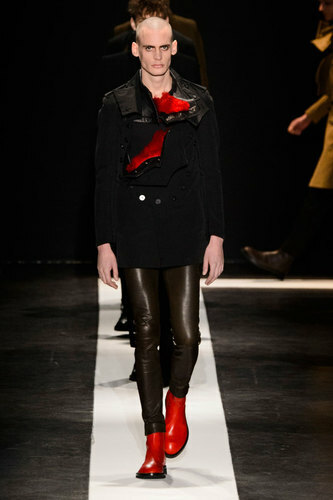 Featuring a lot of tight leather, passionate red and black offers a neo-classical scene appreciated by a modern man. 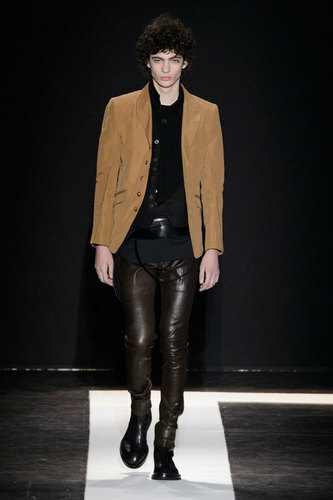 Experimenting with different colour leather trousers gives you more options to work with in terms of layers and outerwear. 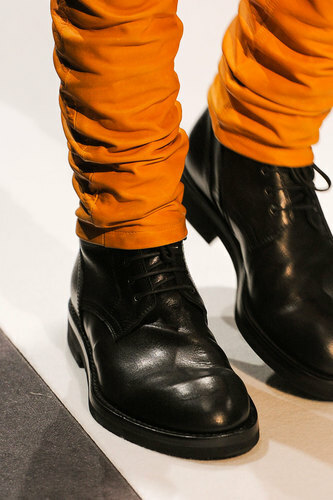 Stick with a bold pair and tone down in other items in order to create more of a statement. 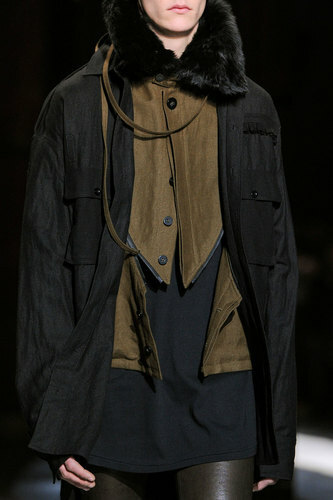 Cropper jackets are also a must for the winter seasons; the fit of the jacket creates detailing and structure on the top half which then offers a view to the rest of the outfit. 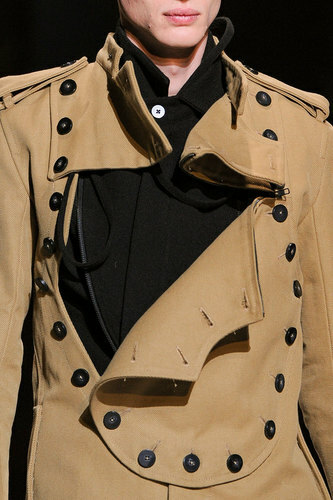 Longer layers underneath, of a thinner fabric add texture. 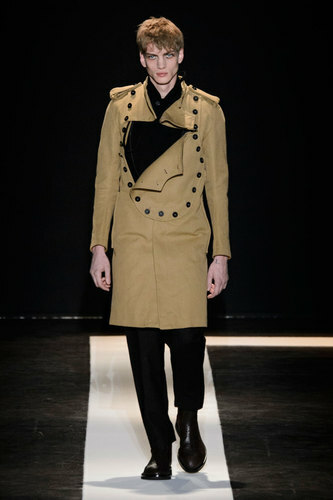 Solids black boots with lace detailing elongate the leg length; therefore make you taller whilst the appearance looks extremely military, this creates a look of discipline. 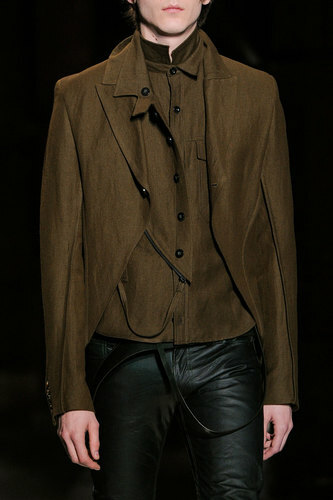 The small detail of buttons, although minimal, not only touches up the rough edges but also creates a large impact.